This extra large hookah hose stem adapter is designed to add an extra hose connection to most Chinese style hookahs that offer the new technology wide gauge hose ports. 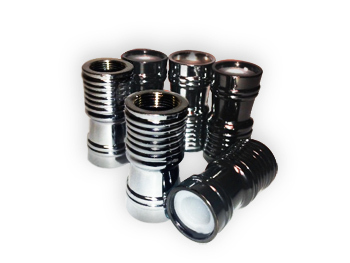 These adapters are threaded and designed to screw onto release valves and Hookah stems that can be converted into multiple hose models. Simply screw this adapter onto the air valve and add an extra hose. Universal Can only be used on Hookah models that offer the new technology wide gauge hose ports.